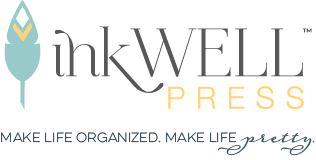 This week I wanted to share a simple recipe I've modified from Cooking Light that you can whip together in no time. It's one of my "go to" recipes when I don't have time to do much else, but it's nice enough to serve to company. I buy my scallops frozen from Costco, so I almost always have them on hand and because they cook in 5 minutes it's an ideal dinner to throw together at the last minute. Place butter and bay leaves in a small saucepan over medium-low heat; cook 5 minutes or until butter melts. Remove from heat; let stand 30 minutes. Skim solids off the top; discard solids and bay leaves. Lightly coat scallops with olive oil. Heat a large, heavy skillet over high heat. Add half of scallops to pan; saute 2 minutes until lightly browned. Turn scallops over and brown other side for 2 minutes. Place in a bowl. Repeat procedure with remaining scallops. 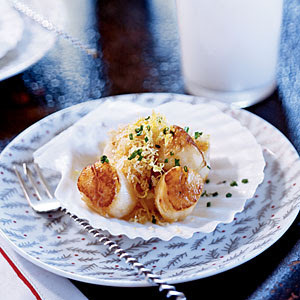 Sprinkle scallops with salt; add juice and half of butter to scallops, tossing to coat. Combine panko and remaining butter. Heat pan over mid-low heat. Add panko mixture to pan; cook 2 minutes or until panko is golden brown, stirring occasionally. Remove panko from pan. I plate the scallops on a small mound of wild rice and top it with the panko mixture. Delicious and on the table in less than 10 minutes.